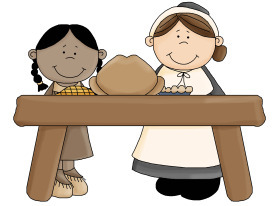 This Thanksgiving Dinner prayer reminds us how blessed we are. When we're gathered around our tables heaped with more food than we can eat in one sitting, it is our duty to remember those less fortunate than we are with our actions and our prayers. We give Thee thankful praise. With earnest hearts, to Thee. And now we've reap'd the grain. We give Thee thanks for all. For us from springs hath flow'd. Of praise, throughout the land. Try inviting neighbors, the elderly or widowed, or families that are struggling to your table this year because it may be you or me that needs a helping hand in the future. Find more Thanksgiving day prayers here.